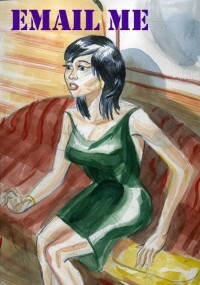 My boyfriend did some watercolor painting on our recent vacation and he’s posted a few to his blog. I love his work and him, too, of course. The lone palm tree is my favorite one. I can’t wait until our next trip so he can be inspired to paint. This entry was posted in TRAVEL and tagged joseph laney illustration, palm trees, vacation, watercolor. Bookmark the permalink.